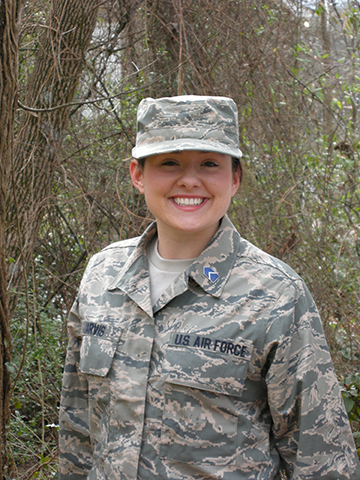 Samford University student Olivia Jarvis, a cadet in Samford’s Air Force ROTC program, has been selected to receive an AFROTC “Project Go” Foreign Language scholarship. Project Go is a Department of Defense collaborative initiative that promotes critical language education, study abroad and intercultural dialogue opportunities for Reserve Officer Training Corps (ROTC) students. As a recipient of this scholarship, Cadet Jarvis will study Arabic in a fully funded cultural immersion program in Meknes, Morocco, during the summer of 2016. Successful completion of the program will allow Cadet Jarvis, a freshman business major, to participate in additional language programs in the future. It will also allow her to apply for unique Air Force career fields that have a foreign language proficiency requirement. For more information on AFROTC opportunities, call Samford’s Detachment 012 at 205-726-2621.